Wagner Equipment Co. sets the standard for our industry by providing our customers the highest quality farming equipment for sale or rent. 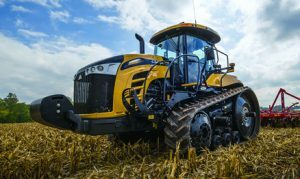 The AGCO product line and other agriculture machines reflects our increased focus on customer success. We will remain the leader by continuing to help our customers meet their needs with durable and reliable equipment. Caterpillar has the best distribution and product support system in any capital goods industry. Check out the links below to learn more about our Caterpillar machines and Ag equipment. You may also find the quick links at the bottom of this page useful for learning more about Wagner and the services we provide. If you know what you need, then you can go to the AGCO site and build a quote to estimate your monthly payments and view available financing options. Whether you are looking for agricultural machinery for sale or rent, Wagner offers competitive prices and an unmatched commitment to providing the best service in the industry! If you need further assistance, please click on the Wagner Equipment Co. live chat link below to receive immediate help. One of our representatives will be happy to help you get your project going ASAP!